The Owl Service is a partial retelling of a Welsh myth from The Mabinogion—the story of Lleu Llaw Gyffes and Blodeuwedd. A brief summary: Lleu had been placed under a curse, according to which he could never have a human bride. So his uncle, the wizard Gwydion, creates Blodeuwedd out of flowers to be his bride. But she falls in love with another man, and the story has a tragic ending. What The Owl Service does is reenact this story in modern times. Alison and Roger are spending their holidays in Wales. They are not brother and sister, but their parents are married. Alison befriends Gwyn, the son of the housekeeper, but her mother looks down on their spending time together. The story begins when they discover a set of old dinner plates in the cottages’ loft, with a strange pattern that Alison copies and cuts into owls. By doing so, she releases a power that none of them quite understands. The story of Blodeuwedd is trapped in this Welsh valley, and those who come across this power and doomed to repeat its destructive pattern again and again. The Owl Service is a short book, but it’s very rich, very subtle and somewhat enigmatic. There’s a lot that’s only hinted at, and I have the feeling I’ll enjoy it even more on a second read. One of my favourite things about it was the sense of place. The Welsh valley the story takes place in sounds beautiful, but also somewhat unsettling. There’s this sense of…confinement, which is part of what the story is going for: a trapped power, an unbreakable pattern repeating itself again and again over centuries, unchanging old stories from an old, old land. The mood of the book is dark, haunting and eerie, and some chapters are just downright creepy. The feel of the book reminded me a little of Faerie Tale by Raymond E. Feist, and most of all of The Dark is Rising sequence by Susan Cooper. These are all based on Celtic myth, and I love them because more than borrowing plot elements, they draw from the heart of these old stories; they capture what is both so frightening and so compelling about them: a sense of awe and helplessness and wonder before the immensity of nature, of time. There was a scene in the book that made me very sad: Nancy is telling her son Gwyn that she doesn’t want him speaking Welsh and “sounding like a peasant”. The book was first published in 1967, and from what I hear this kind of attitude is fortunately now rarer. Nowadays, an effort is made to conserve Welsh, and I dearly hope the language doesn’t disappear. But the prejudice shown by Nancy is one of the themes of the book—along with the rage and cruelty often displayed when people feel hopelessly confined. The myth of Blodeuwedd has a sad ending, and The Owl Service has a tone of inevitability and tragedy from the very start. But the actual ending is an open one, with a note of hope. We cannot tell for sure, but we sense that the pattern might have been broken—broken through kindness, through patience, through the act of putting pride aside. I'd never even heard of Alan Garner until a few weeks back, when I was perusing some book on books. It had a review of The Weirdstone of Brisingamen, which I immediately added to my wish list, along with The Owl Service which was briefly mentioned. And now you come along and put the old nail in the coffin. How am I ever to resist this book now?!! What a beautiful excerpt! This sounds like a wonderful story even if it is sad and creepy. I have a book of Welsh myths but I can't remember this particular one. I really should re-read it! Ooh! Did you know it was made into a TV series (or maybe it was a mini-series as it only had 8 episodes). Oh this sounds really good! I have a book of Welsh mythology but I haven't read through it - I'll have to see if it has anything about myth of Blodeuwedd in it. I have to read this! Being half Welsh, I actually remember being told the original story when I was a child, so I will definitely look out for this. Thank you for the Discworld chart - I love it. I've had this book for so long and forgot what it was about...what made me want to read it in the first place. But after reading this, I remember now! It sounds awesome! Sometimes books are more meaningful for me the second time around - I'm more aware of things then I guess. This book sounds really interesting! I'm sad that ER doesn't have very many books that can come your way! Lena: Ooh, I LOVED Weight. In fact, other than The Helmet of Horror, I loved all the books in the Canongate Myth Series. Debi: The Weirdstone of Brisingamen is another one I've heard great things about. That and Elidor. Ladytink: Isn't that a great passage? I love the language too. And I had no idea about the TV series! I'm curious now. Joanne: Hopefully there is! I've been meaning to get a book of Welsh Mythology for far too long. I really should. Marie: Me too. A strong sense of place can add so much to a book. Scrap Girl: How cool that you're half Welsh! I love Wales to bits. And I'm glad you like the chart! It helped me a lot when I was starting the series, so now I point everyone towards it. Wendi: Same here...and I really should do more re-reading for that very reason. And thanks for reminding me about TT! I read this when I was quite young and have forgotten most it it. I had an edition with an owl flying across the cover and thought it was beautiful. I must dig it ut and give it a re-read. I only remember it being quite unsettling and sppoky. This sounds really good. I think I'm going to have to check it out. Every time I read your blog I learn something new...and I love that. I have not heard of this myth but the story you're describing here sounds like a must read for me. All this time I thought I was well read,but I realize that I have so many different genres and books to read that if I think about it too hard my head may explode!!!! **Thank you again for a wonderful review!!! Lovely review! I got so much more form this book the second time I read it. The first time I was a bit perplexed because of how much the author leaves unsaid. I'm used to more direction as to how the characters are feeling. It's a great read though. this sounds interesting too, I have never heard of this one before. This one looks an interesting read. 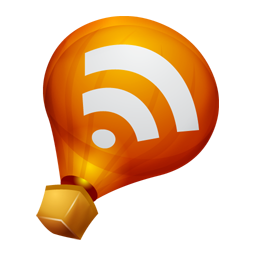 Rhinoa: Do give it another read! I think this is the kind of book that adult readers appreciate even more than young ones. Nely: I hope you enjoy it! Alexa: Yes, a lot is left unsaid. I actually like that about it, but I bet I'll like it more the second time around. Bart: I hope it does! This actually won the Carnegie medal back in the day. It's a classic! i only started reading your blog a couple weeks ago and wanted to say i'm glad i have access to a very good library - my reading list grows every time you post! thanks very much for your insightful and enthusiastic reviews! Julia: Your comment made me happy :D I hope you continue to enjoy my blog and that it helps you discover lots of books you enjoy! I love the Mabinogian, and remember seeing this book all the time while I was shelving. Yet another I seem to have not gotten around to reading. Great review! Your review has just reminded me of this book - I read it as a child and I remember now that I loved it. I think I polished it off in one mammoth session (as my mother never made me turn the light off and go to sleep if I wanted to read!). I'm sure I still have it somewhere packed away. Another reason to dig the book boxes out of the attic. I did read this book! A long time ago. Funny, I have two of his other ones to read, the Weirdstone of Brisingamen and Moon of Gomrath, on my TBR shelves for this year. Owl Service is due for a reread soon though, after your lovely review! Wonderful, Nymeth! PS I really like the cover of your copy, too. I read this but thought it was immensely dull. I was quite young at the time, though, so about a year ago I decided to give it another go. Couldn't even get halfway through. Guess this is just one book I'll never appreciate. Klarusu: hehe, those are the best kind of mothers. I hope you enjoy it just as much on a second read! booktrash: While I really loved the writing, I can see why it wouldn't suit everyone's taste. Sorry it didn't work for you! 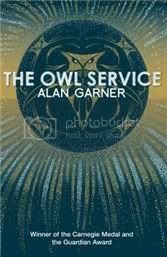 I loved your piece about Alan Garner's Owl Service. I just posted a story on my blog about the fascination of owls and mentioned my long appreciation of this exquisite novel. As I say in my piece I read it once and read again straight away to find out what the heck had happened, and to enjoy it once again. Great Blog. I'll look you up again.